Greetings, we are the Pleiadian Collective here this evening, this day, extending our warmest of greetings to you our ground team. Recent developments being what they may, please be assured that all is proceeding as smoothly as possible in this most sacred now of tumultuous changes upon dear Gaia. 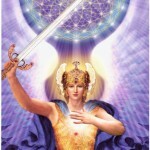 We Pleiadians have our own rich history, fraught with many battles and losses in our skirmishes with the dark ones. But we have ascended beyond that millions of years previously and are now helping one of our precious seedling planets, where you currently reside. You too, millions of years from now, may perhaps be composing a similar message for those in a similar ascending situation. So know that we truly do see and feel what you are going through and hold you with great esteem and compassion in our heart spaces. We see you and we know you and we love you. We Pleiadians have seen much and hear much. Feel our peace within these words and be comforted. We see the weariness of your bodies as you integrate even further light. Truly you are changing before our very eyes! It is quite astonishing and pleasing to be a witness to this tremendous transformation from dark to light. And you ground team have made an incredible difference. All of you have placed your fingerprints on this ascension that cause your auras to glow even more brightly. Feel the energies encoded into these messages of light and allow them into you. For you are becoming more light with every choice of love. Become love. Embody love. Breathe love. And love, the love of the universe and the All that is will buoy you up so that you ride the brim of the wave with joy, ease and comfort, safely afloat and enjoying the ride. The wave is on its way while simultaneously you are in the midst of it, which we can say with confident assurance because we currently reside in the 5-6 dimensions which are of course outside of your linear time constructs. And so naturally we can see this more clearly. There are trillions of minute details that may affect the outcome in entirety but the success of Mission Ascension Gaia is assured. And so enjoy these moments. Many of you are eye rolling at this but we say again with emphasis and with love, enjoy these moments. For some of you this American Thanksgiving Holiday that you are observing is fraught with pain, for you are unable to see your loved ones who have passed over the veil. We assure you they are very busy either working with us or on some other assignment or simply getting the much needed rest and recovery that follows a busy 3D Earth life. We see many of you physically on the brink of collapse, or so it seems. You will find that when you surrender to these higher energies, certain foods that perhaps you grew up loving and craving hold no interest. Alcohol will likely hold little interest as well in time, as well as meats. Decreasing salt and other additives as well will become second nature as you begin to crave light wholesome foods grown straight from Mother Gaia’s garden. And so when you allow and accept these bodily cravings and changes in dietary requirements, this will help you greatly during the changeover from what you have been into what you are becoming – a crystalline being of light, encoded with the breath of God and covered with her fingerprints, her signature. And you will know this, you will feel this and this will cause you great inner stirrings of bliss and delight previously unbeknownst to you. Great great joys are ahead dear ones, friends, family. Great joys. And so on this day of all days please take the time to contemplate your blessings as your ride the wave of love into the higher dimensions where we eagerly extend our arms for a long awaited embrace. For you are revered from the stars, and many of you are us in different form. The reunions are coming. The wave is coming, and yet, to answer many a question, you are already in the midst of it, it is very true. It is also very true that much discernment is critically needed at this Now and we urge you to be very discerning with what information you take in for there are still many who wish to deceive or confuse. Be clear with your intentions and perhaps it is prudent to develop your own inner knowing at this now. We see this as being accomplished as you grow even yet further, deeper into connection, and true union with your higher selves. This brings us great delight. We are thankful for you our precious ground team this day. 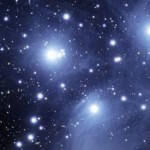 We are the Pleiadian Collective. Be in joy.